Do not judge this by its Young Adult label. The plot and writing are far beyond the YA stereotype that so many non-YA-loving people fear. 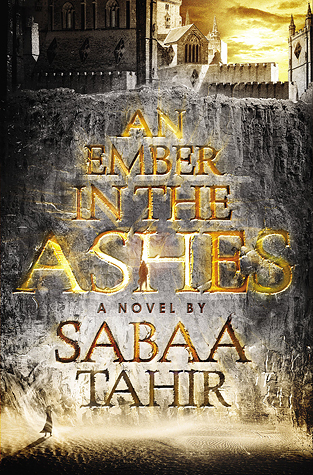 An Ember in the Ashes is rich, complex and unlike anything I was anticipating. Sabaa Tahir does not waste a single moment in this book. There are no fillers, no lagging scenes, no parts worth skipping. I was constantly feeling anxious while reading this, not necessarily due to foreboding suspense, but also because of pure excitement; the chapter endings, in particular, left me with a tense sort of masochistic joy. I’m not going to try to recap the story because there’s a perfectly good synopsis on Goodreads (see link below). I know once I start getting into specifics I won’t be able to stop. I will say that Laia is a very strong and intelligent female lead. She has weaknesses and fears but the reader gets to experience her pushing to conquer those inner battles we all face in some form or another. The battle to overcome loss, depression, guilt, weakness, immaturity, selfishness. The list could go on forever. Laia must fight or she will lose more than her inner battles; others will suffer from her failures. Elias truly is an ember in the ashes. He is kindness amongst the merciless, questioning amongst the obedient. He has a strong moral compass despite his upbringing and his heritage, which is truly saying a lot. Elias is essentially a trained hunter of anyone who goes against the government. We first meet him at the height of his breaking point, where his morals and conscience have just overtaken training and expectations. From this point we see him struggle to maintain self while fighting to save an array of people. He has to fight not only his government but also his family, comrades, and best friend. The price of freedom is steep and the path heartless. I started reading this story in print but eventually switched to audio when I couldn’t consume it fast enough (those darn responsibilities always getting in the way). I enjoyed the print copy very much but I loved the audio. I listened to the first audiobook released by Listening Library. There is a newer one, released this past June, with different narrators. I’m willing to bet the narrators I listened to, Fiona Hardingham and Steve West, have a theatrical background. Their performances are complex and engaging; they truly bring this story and the characters to life. They aren’t merely reading or making subtle differences with their voices. Each character is full of life and has a unique presence, to the extent that it is easy to forget that at any given chapter it is only one person performing. An Ember in the Ashes is an incredibly strong debut and will forever be a favorite on my bookshelves. It is very well-written with strong main characters and sub-characters. Tahir transports the reader in a seemingly effortless way to this new world where new concepts and specifics are presented in a way that doesn’t underestimate the reader’s intelligence. The narration is truly a performance and only adds to the story. Both narrators are engrossing and compelling. I highly recommend this book and audiobook to everyone. I don’t think you will be disappointed. Thanks so much for this great review, I am going to love reading this so much, and it is true I as well as many other people think YA is not for me, but I was wrong, and I am so glad I am! 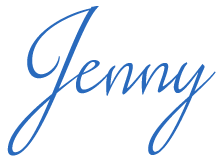 I love The Review Loft and all of you on this blog Jenny! Thanks for posting!